We have received rave reviews from our Clients, Lenders, and Referral Sources. Below is a summary of some of the responses we have gotten from those we work with. Please note that many of these Testimonials are confidential at the request of our Clients. However, if you ever need a list of references, we would be more than happy to provide them at anytime. 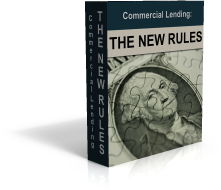 – From a former residential lender whose parents were provided financing through Commercial Lending X.